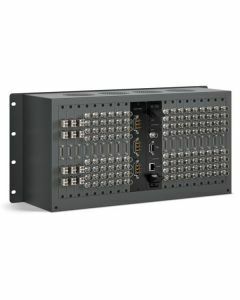 SDI Video Output: Up to 72 x SDI/HD-SDI, 3G-SDI and ASI with SDI re-clocking. Can be BNC SDI or optical fiber SDI. SDI Video Input: Up to 72 x SDI/HD-SDI, 3G-SDI and ASI. Can be BNC SDI or optical fiber SDI.